Earlier, it was the story that determined Vijay's character in the films but now, with Perarasu's Thirupachi and Sivakasi, the stories are written with Vijay's character in mind. However, Aathi, is an exception. "If Vijay is the hero of the movie, the story is the second hero," beams director Ramana. Papa S A Chandrasekhar, who pays a lot of attention to the detail regarding Vijay's films, is mighty pleased about Aathi. "I have many faces – director, producer, distributor and actor. 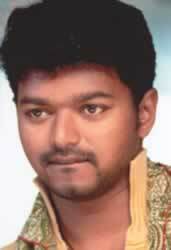 The face I like is being father to Vijay," says Chandrasekhar. But Vijay fans say that they don't wish to see S A Chandrasekhar as a Producer of Vijay's film, since all of his earlier films which he produced with Vijay, bombed at box office miserably. Hope this will break the jinx. 2 lakhs for a single song!! Jeyam Ravi fears Ajith, Vijay & Simbu. What does Surya have to say? Laila to wed on Jan 6th. Who is the groom?? Ajith surprises Vivek, Simbu & K.S.R. Asin's superstitious hotel Nayantara : don’t you suffer from jet lag?